Occupy All Streets: Olympic Urbanism and Contested Futures in Rio de Janeiro analyzes the implications of mega-projects connected to Rio’s transformation for the 2016 Olympic Games.Contributions from literary critics, historians, anthropologists, architects, media theorists, geographers and urban planners explore the array of interventions proposed and built in anticipation of recent mega-events. Collectively, the essays tell the story of how these changes to the cityscape have kindled Rio’s citizens’ hopes and aspirations for their “right to the future,” and also chronicle the various ways they have contested the futures being imposed on them. Anticipating the city yet to come, these essays point to the potential for activism and protest to transform the Olympic legacy into different futures. While focused on Rio, Occupy All Streets is full of insights for other cities experiencing wide-ranging challenges and facing far-reaching reforms. Interdisciplinary in design and concept, Speculation, Now illuminates unexpected convergences between images, concepts, and language. Artwork is interspersed among essays that approach speculation and progressive change from surprising perspectives. A radical cartographer asks whether “the speculative” can be represented on a map. An ethnographer investigates religious possession in Islam to contemplate states between the divine and the seemingly human. A financial technologist queries understandings of speculation in financial markets. A multimedia artist and activist considers the relation between social change and assumptions about the conditions to be changed, and an architect posits purposeful neglect as political strategy. The book includes an extensive glossary with more than twenty short entries in which scholars contemplate such speculation-related notions as insurance, hallucination, prophecy, the paradox of beginnings, and states of half-knowledge. The book’s artful, nonlinear design mirrors and reinforces the notion of contingency that animates it. By embracing speculation substantively, stylistically, seriously, and playfully, Speculation, Now reveals its subversive and critical potential. Artists and essayists include William Darity Jr., Filip De Boeck, Boris Groys, Hans Haacke, Darrick Hamilton, Laura Kurgan, Lin + Lam, Gary Lincoff, Lize Mogel, Christina Moon, Stefania Pandolfo, Satya Pemmaraju, Mary Poovey, Walid Raad, Sherene Schostak, Robert Sember, and Srdjan Jovanovic Weiss. The vast majority of Mumbai’s 13 million people live in three housing types: slum shacks known as zopadpattis; single-room, barrack-like tenements with shared toilet blocks known as chawls; and, increasingly, “resettlement buildings,” an emerging housing type composed of single-room residences with attached baths and toilets. These are designed specifically to accommodate people displaced from the slum settlements that stand in the way of Mumbai’s growing number of mega-infrastructural projects and private developments.1 The “normal” residence in Mumbai is thus a single room, often housing multiple generations. Drawing on research in Jakarta, this article reconsiders the importance of heterogeneous economic practices in the remaking of central-city districts in ways that provide ongoing platforms of residence and operation for residents from wide-ranging walks of life. The emphasis on good governance and rights-based discourses have sometimes occluded the operations of urban real economies that, even if waning in the face of the proliferation of mega-developments, constitute the critical capacity of the majority of urban residents' efforts to secure a viable place in the city. 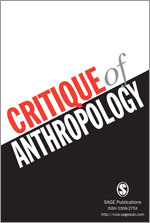 Throughout its history, the discipline of anthropology has recognized a foundational role for a concept of nature as an Other in relation to human subjects, persons and selves. Until recently, a dominant understanding of nature as regularity, governed by “laws” of nature served to stabilize understandings of subjectivity, mainly by providing the certain backdrop against which secular subjectivity acquires its transcendence, insured against wild possibilities and the strange ontological potentials opened up in a world without theological center. The discipline’s attempts to discover and classify human “nature” then is tied to an idea of nature as the stable backdrop ensuring regularities in environment that influence, in turn, regularities in behavior. This article examines the concept of urban charisma as a quality that circulates through urban imaginaries and in the gestures and practices of everyday urban figures. Specifically exploring the figure of the gangster in Bombay cinema in the context of recent events of militant attacks in Mumbai, and tracing the empirical and cinematic transformation of the gangster into terrorist, this article argues that the cultural biographies of these figures, available through cinema, fiction, non-fiction writing and other forms of mass media are instructive as ‘reading principles’ through which chaotic and transitional urban spaces acquire legibility in popular imagination. As the city mutates rapidly, the mythic figure of the gangster and the enigmatic figure of the ordinary citizen-terrorist take on a new significance for understanding urban transformation precisely because these figures are framed by and in turn enframe these shifts most visibly, as these transformations become part of urban soul. This article analyzes the Gandhian legacy in contemporary Indian art practices, including photography, architecture, and film, and investigates the possibilities and impasses of a specifically Gandhian modern aesthetic practice. Situating a specific set of artistic projects in relation to the rise of Hindu fundamentalist politics in contemporary India, the article then proposes the ways in which the possibility of a Gandhian modern aesthetic has been increasingly submerged in the broader politics of constructing a universalist, Hindu modern political aesthetic. Finally, turning to Hind Swaraj, the article proposes an alternative understanding of the emergence of this Hindu modern by examining Gandhi's particular articulation of the relation among ethics, aesthetics, and politics. Slums constitute a foundational trope in urban studies. 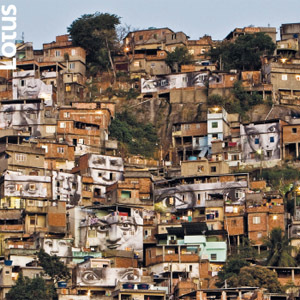 From Friedrich Engels to Jacob Riis in the 19th and the early 20th centuries to the 2003 UN-Habitat Report on Slums and Mike Davis’ recent book The Planet of Slums, the slum appears over and over as a theoretically productive spatial ecology. In contemporary urban studies, the slum represents an invitation to think through both the material aspects and processes involved in contemporary urbanism and the ethical and epistemological underpinnings of urban theory today. Both are matters of equal concern as urban growth explodes across the world but particularly in countries of the global South. If a large proportion of the world’s population will be settling in cities in the global South, what does that imply for the location and the effects of urban theory? We must remind ourselves here of the intimate relation between theorising the city and the social and philosophical project of modernity. If London, Paris, New York and Berlin provided social theorists of the 19th and 20th centuries the rich, empirical basis for creating arguments about the project of modernity, what ground do cities like Mumbai, Sao Paolo, Shanghai and Lagos provide for a similar project today? In this essay I will explore the theoretical place of the slum today as cities of the global South begin to exert new material and ethical pressures on our understanding of global urban processes. In light of this exploration, I turn to the question of design action and its relation to the near and distant futures of urbanism. For this conversation, we take as our point of departure the multiple uses deriving from the Latin root 'capitalis', to explore dispersals of capital (financial and human) and their relation to capital cities such as Dakar, Kinshasa or Khartoum. 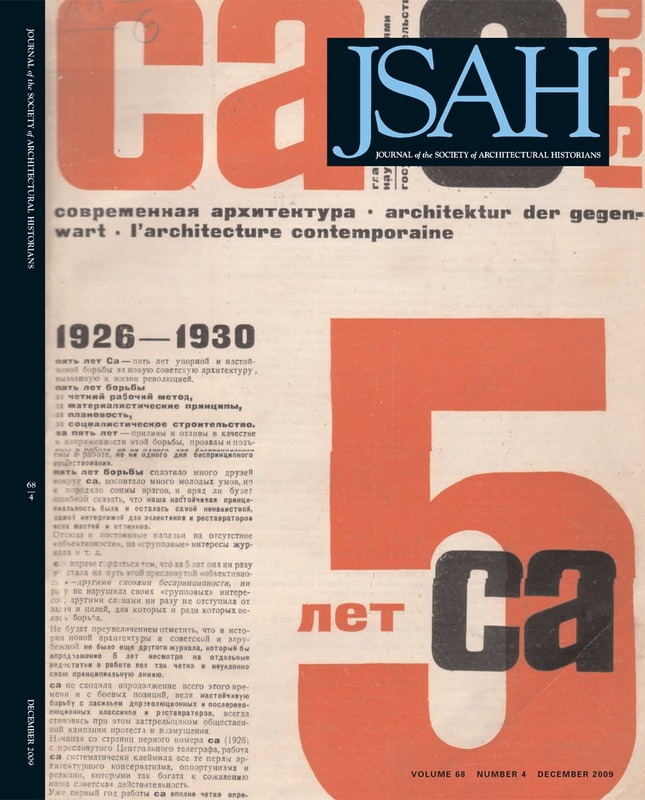 This article explores notions of archive and infrastructure in the construction of metropolitan urbanism in the West. 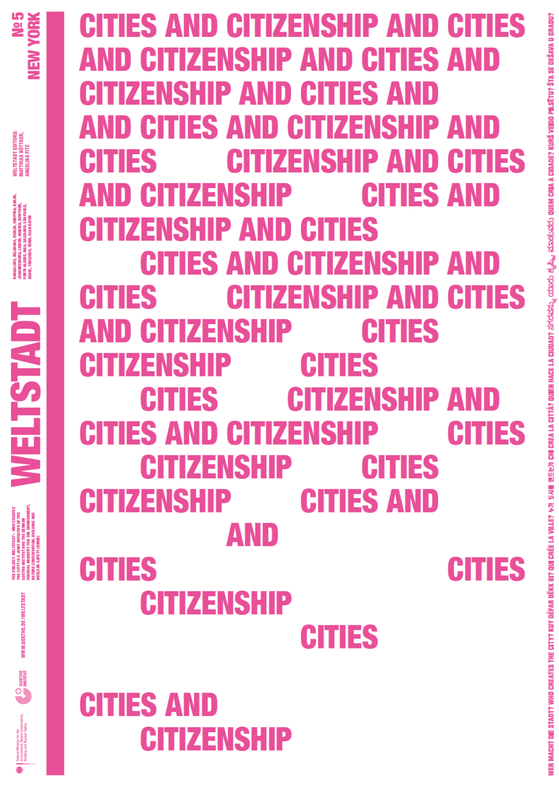 Building on this exploration, the author proposes the concept of “city-as-archive” as a tool for studying contemporary urbanism and for moving beyond the political geography of disciplinary epistemology in the social sciences. The notion of “city-as-archive” elaborates a new way of understanding archives—as principles of ordering stimuli upon which future transactions are based, rather than as sites for the preservation of a past that has been deemed to be of collective significance. This understanding builds analogically upon theories about urban space, life, and experience. By deploying this concept of “city-as-archive,” the author suggests that we are in a better position to understand the city space of mediation between modern India and the modern West rather than as yet another site of Indian exceptionalism. Recently, global imaginary has been gripped by two very different urban events, both spectacular and incendiary, unfolding amidst the news of the financial and credit crisis. These two events, the attacks on Mumbai in November 2008 and the fire that consumed the new TVCC (Television Cultural Center) building in Beijing, adjacent to the CCTV (Central China Television) building, in February 2009, have opened a new space of discussion on and off the web that has potentially profound implications for the way that urban space and political practice are imaged and imagined. Across urban studies there is an increasing preoccupation with the forms of articulation that link a multiplicity of cities across a region often known as the ‘Global South’. How do cities such as Jakarta, São Paolo, Dakar, Lagos, Mumbai, Hanoi, Beirut, Dubai, Karachi, for example, take note of each other and engage in various transactions with each other in ways that are only weakly mediated by the currently predominant notions of urbanism? What might be the lines of connection and how do different cities recognize and experience the textures of their different histories and characters? Six urbanists are assembled here to write in conversation with each other as a way to embody possible collaborative lines of inquiring about these issues. Urban density is often taken to be self-evident and treated as an indicator or attribute of urban space upon which urban planning and individual planning decisions are made. This article makes the case for thinking about density as a relational and social quality produced by identifiable associations, practices and systems of human interactions, specifically with infrastructural technologies. Based on ethnographic research in Mumbai, the paper will consider several different 'sites' at which density operationalizes an incessant sense of temporariness and anticipation within the frame of social relations. These geographies of density yield surprising circumventions of functionality and planning but they also make possible transformation within existing frames of relations. 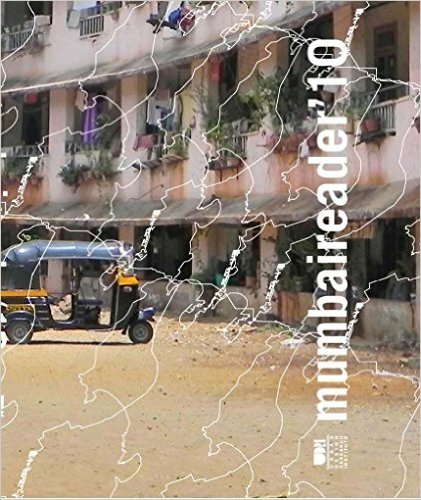 Much of the recent urbanist literature on Mumbai focuses mainly on the slum not only as an empirical but also an analytic geography. 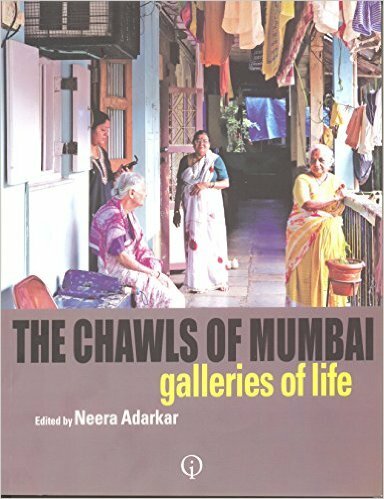 Based on the ethnographic work on Mumbai, the article suggests other sites beside the slum for theorizations of the multitude. Doing so might yield new insights into the relationship between built form and urban design as well as accounts of the city that are not trapped either by normative and prescriptive models of the city or by the need to turn to a redemptive reading of chaos and misery. Cities also grow in their unbuilding. This observation, made by many writers in different contexts, produces an uneasy equivalence between destruction and construction. But particular modes of destruction and their effects retain their potency in the manner in which cities are reinscribed. In the case of Bombay (renamed Mumbai in 1996), I argue that the alignment of territory with an imaginary map, in the course of events such as the communal violence of 1992 and its serial bombing in 1993, is intimately tied to the redirection of large amounts of capital into new construction, even if the relationship between reconstruction and destruction is not self-evident. On March 12, 1993, ten bombs exploded across the city of Bombay within a period of about two hours. The timed explosions were caused by large quantities of an explosive known as RDX, a black soap – like substance, which was loaded onto several four-and two-wheelers. Planted strategically in and around important city buildings, crowded marketplaces, and hotels, each vehicle exploded within fifteen or thirty minutes of the previous one. Their itinerary not only was timed serially but also, perhaps accidentally, followed a north-south geographic trajectory, beginning with a dramatic explosion in the basement of the Bombay Stock Exchange in the city's historic, colonial Fort area and ending with a series of unexploded grenades hurled onto the runways of the airport in the northwest suburb of Santacruz. These explosions followed nearly three months of tension and murderous riots in Bombay between Hindus and Muslims after the destruction of the Babri Masjid, a sixteenth-century mosque in northern India by a mob of Hindu nationalist youths. While the riots took place immediately after the mosque's destruction on December 6, 1992, followed by a second round a month later, in January. As a social and cultural form, the modern South Asian city has been a site of theoretical anxiety and ambiguity. Whereas the experience of modernity in the West is explicitly associated with the city, in the post-colonial context liberal modernity, with its associated promises of freedom and equality, was explicitly associated with the nation. And where the nation was considered the ultimate arbiter of issues of citizenship, justice and belonging, the city had, at best, an ambivalent place as a site of modernity. If there is anything normative about the imagination of the modern city in South Asia, it is a certain rejection of its specificity as a social space and its portrayal purely in relation to the exigencies of modernization and development.2 In the nationalist imagination, there was an inevitable contest between a more positive apprehension of the city as an engine of modernity, modernization and development and a more negative one projecting the city as an inappropriate historical trajectory for Indian modernity. This article is a review of recent writings on Bombay including texts in social science, journalism and media criticism. 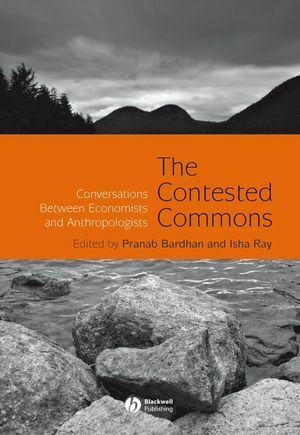 Taking the notion of risk as a central thematic in understanding globalization, the article explores the emergence of the city and of Bombay in particular as a subject of research in the contemporary moment. The review uses the recently published book, Maximum City: Bombay Lost and Found by journalist Suketu Mehta, as a point of departure. 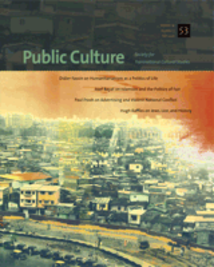 The article argues that the notion of risk circulating through representations of the city in various media and through the action of residents marks a significant departure from the nation to the city as the canonical subject of representation and for a critical understanding of the project of modernity in the era of globalization.